This recall effects only the XD-S line and does not effect XD or XDM series of pistols. The following is the recall released by Springfield Armory. If you have any questions please visit Springfield Armory's Website. Springfield Armory is initiating this voluntary safety recall to upgrade 3.3 XD-S 9mm and 3.3 XD-S .45ACP pistols with new components, which eliminate the possibility of a potentially dangerous condition. We want to emphasize that no injuries have been reported to date. 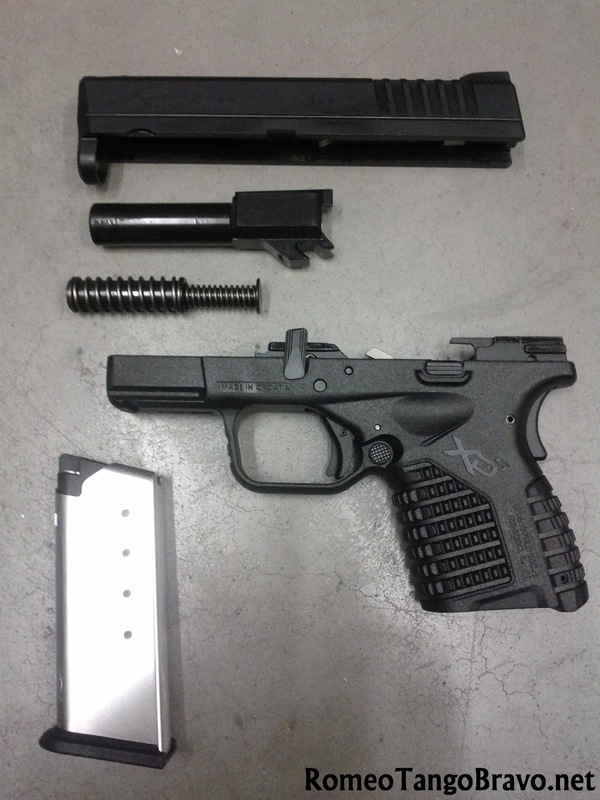 Springfield has determined that under exceptionally rare circumstances, some 3.3 XD-S™ 9mm and .45ACP caliber pistols could experience an unintended discharge during the loading process when the slide is released, or could experience a double-fire when the trigger is pulled once. The chance of these conditions existing is exceptionally rare, but if they happen, serious injury or death could occur. STOP USING YOUR 3.3 XD-S 9mm or .45ACP PISTOL AND CAREFULLY UNLOAD IT! To begin the upgrade process and for fastest response, click on the Get Started link at the top of the page. On that page enter your serial number and click Next. If your pistol is subject to this recall, you will need to provide your name, address, phone number, and email address. The serial number is located on the frame beneath the dust cover (accessory rail). If you prefer, you may initiate the upgrade process by calling 800-680-6866. If you no longer own the 3.3 XD-S 9mm or .45ACP pistol, please advise Springfield of the current owner. This Safety Recall does not apply to any XD or XD(M) pistols.